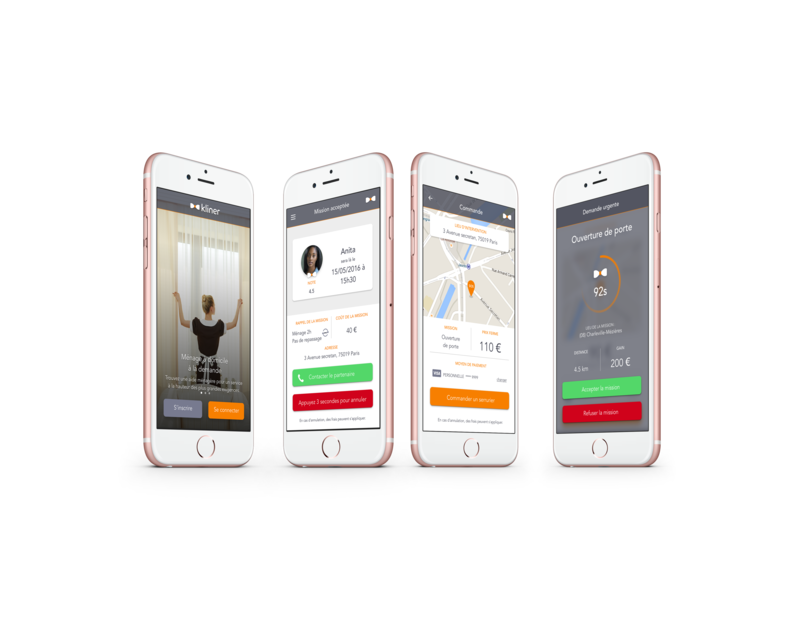 Kliner is the housework application launched by a start-up that is positioning itself on the Uberization of the services to the private individuals market. Kliner is a reference for professionals and self-employed entrepreneurs and allows individuals to order their housework services via a mobile application (iOS and Android). Kliner received an innovation grant from the BPI (Public investment bank). Smart Interactive was solicited by a Digital Agency (Take a Tea) for the realization of the iOS and Android Artisans and Clients applications. Smart Interactive has set up a project team of 5 people: 1 Project Manager / Business Analyst, two iOS developers and two Android developers. We coordinated with the team in charge of back-end developments as well as the recipe of the applications according to scenarios defined jointly with the customer. Smart Interactive continues to accompany Kliner.com but live this time. We ensure the development of the new functionalities of the KLINER applications while guaranteeing their corrective maintenance.